What's Beyond Forks? : Sun Poisoned Tour! Review & Giveaway! Sun Poisoned Tour! Review & Giveaway! 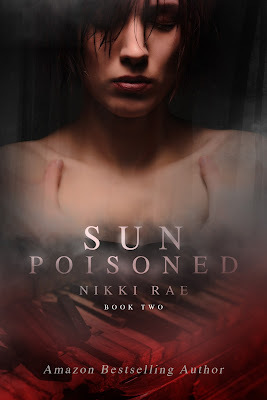 Sun Poisoned is the second book in the Sunshine Series by Nikki Rae. 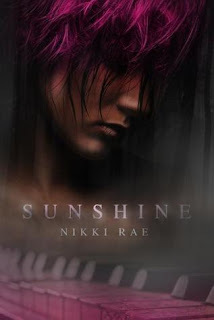 If you haven't read Sunshine yet, you definitely need to before reading Sun Poisoned. While you're at it, check out my review for Sunshine too! Sun Poisoned wasn't as emotional as Sunshine, which isn't a bad thing. 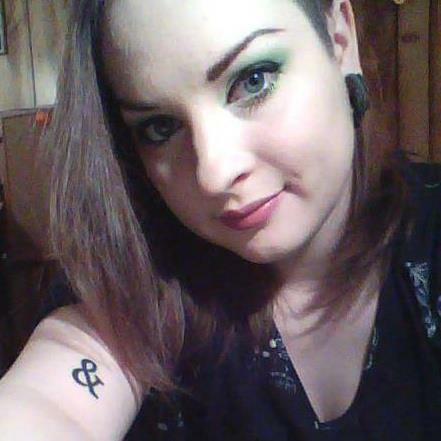 Sophie is a survivor, and you see that in a huge way in this book. Just when you think things are looking up for poor little Sophie, she gets blind sided by life again and again. I was frustrated by all the lies this time around. It's time for some honesty. I'm hoping we'll see some of that in the next book. Her ex-boyfriend makes a brief appearance, and if you read Sunshine, you're probably thinking that's a bad thing. It probably is, but he knows something. I want to know what he knows!! 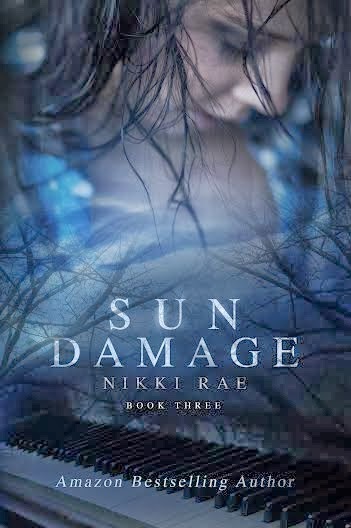 The Sunshine Series is turning into something very different from any of the vampire books out there. I'm anxious for more! 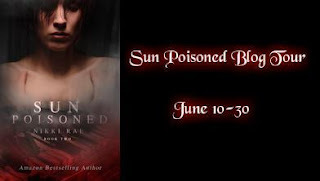 Sun Poisoned by Nikki Rae was provided to me by the author for review. The opinions are my own. 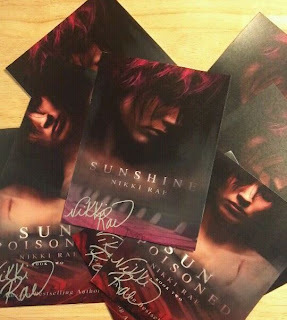 Nikki Rae is kindly giving away an ebook copy of both Sunshine and Sun Poisoned plus a signed postcard to 10 lucky people! Please fill out the Rafflecopter form below! Open Internationally! Good luck!